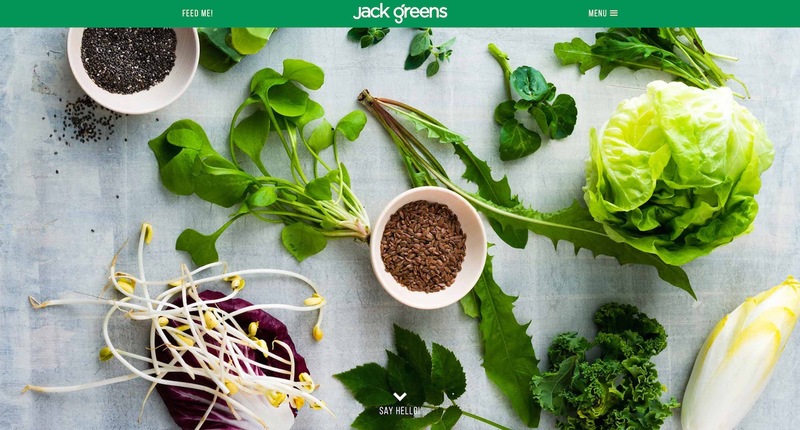 Jack Greens is a new fresh food company that sprang to life in 2015 and is now operating in Adelaide, South Australia. Their focus on “super foods” delivered through healthy fast food is a brand-new concept in the hospitality industry within South Australia. The Jack Greens’ vision – a place that’s not just to eat: a space to meet, greet, chill, vibe, collaborate, conversate, create, be inspired and, ultimately, have fun – embodies what the company is about, and they required a website that was modern and innovative to help communicate this with their customers. Showcasing large imagery and utilising bold colours was key, and Jack Greens came with a strong branding goal which needed to be utilised across the site. The mockup design of this site was completed by a third-party designer, and Scott Reynolds was then asked to step in and turn these images into reality. Working closely with the designer, a finished product was created and launched within a short period, and this was made to be responsive from the outset to ensure the site appeared correctly regardless of the device or system. As with most Scott Reynolds developments, this site needed to be built using a Content Management System (CMS), and WordPress was again the chosen system. 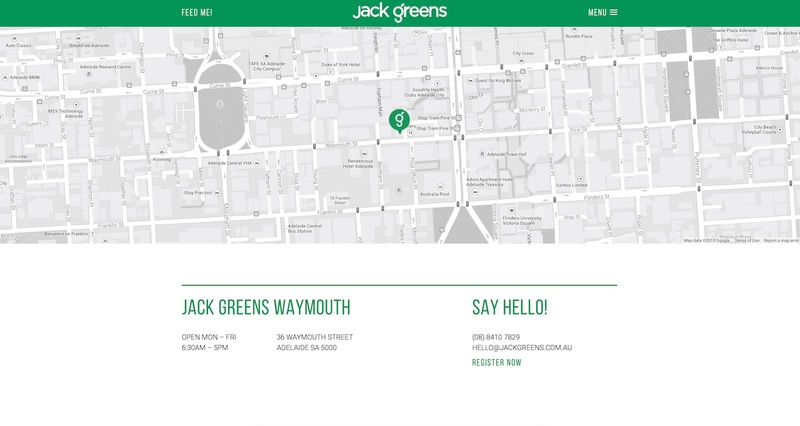 Each page has a unique design, and Jack Greens needed to be able to manage these variations without having to call on a web developer each time. A custom admin interface was created within the WordPress environment to enable them to create and modify each page with its individual sections. 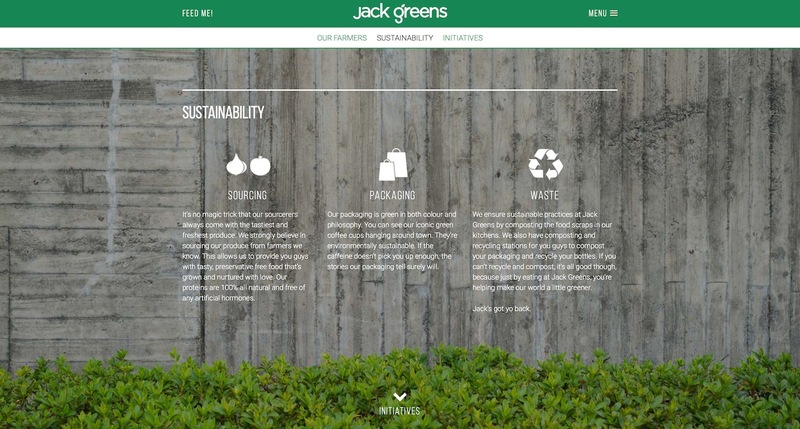 Each section features a large image background, and content layout and formatting can be customised within the Jack Greens branding style. Using the WordPress platform allows Jack Greens to manage their entire online presence: including adding new content and modifying existing content, updating and adding photos to each section (and creating new sections), and also monitoring overall performance of the site. There is no need for Jack Greens to, theoretically, ever call a web developer when they need to update the site – something that can allow them to be more responsive and save ongoing costs as a result. 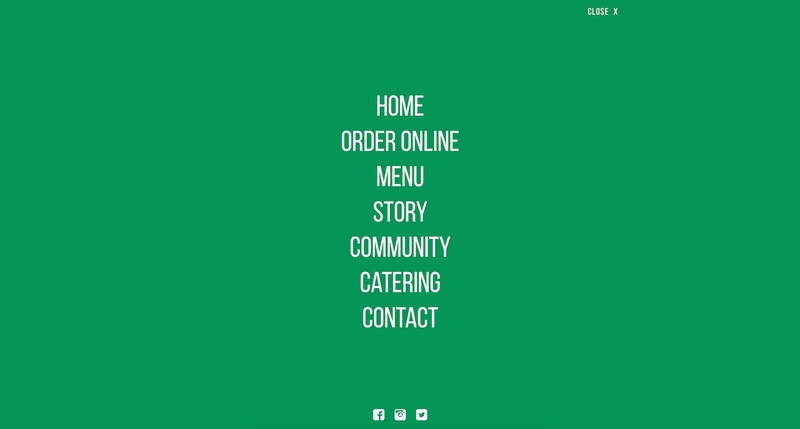 An online ordering system is planned for the site and this will be developed for the company in the very near future.